Your ticket to customer happiness is here. Looking for a help desk ticketing system? You've found the best one. When it comes to customer service, things are always easier said than done. 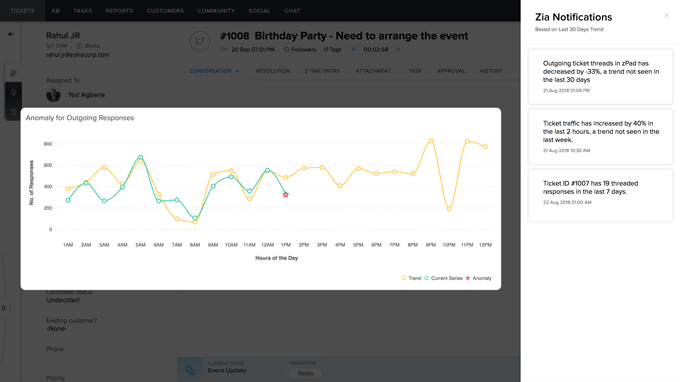 Hundreds of customers write to you using multiple channels, and your agents need to keep track of them all to ensure every ticket is answered accurately with the right context, on time. Zoho Desk helps uncomplicate this process, every step of the way—for customers, agents, and managers. Set up and get the feel of how these features can help you. 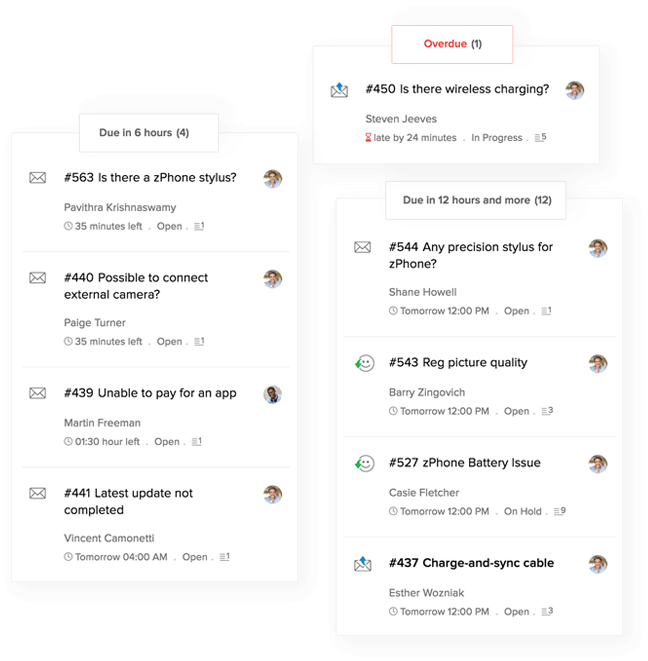 It could be a daily overhead to sort through the day's pile of tickets and assign them manually based on your priorities and requirements. This can lead to bottlenecks, leaving tickets unassigned longer. Zoho Desk automates this process, helping you save time and ensure fast, accurate responses. Round Robin: The simplest form of automatic ticket assignment. It distributes tickets evenly to all your agents based on the limit that you set. Assignment based on criteria: You can also ensure that tickets are handled by the most suitable agents on your team. For instance, you can set up a rule to assign tickets from social media only to the social media experts, so that customers get the best solutions in the shortest possible time. 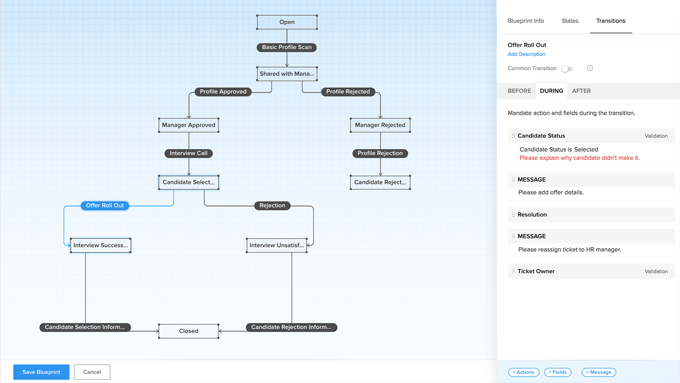 Intuitive ticket views: When an agent opens their inbox, they should know which ticket needs their immediate attention. Zoho Desk provides custom views and Work Modes that automatically organize tickets based on time due, priority, CRM status, and more. This helps agents save time deciding which ticket to solve first. 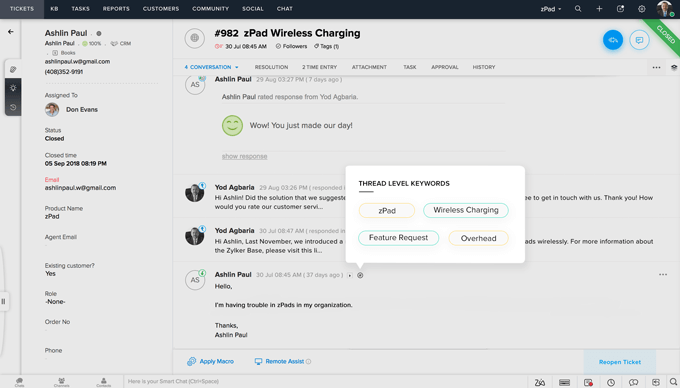 Sentiment Analysis: Zia, an artificial intelligence from Zoho Desk, analyses and tags help desk tickets before your agents get to them. 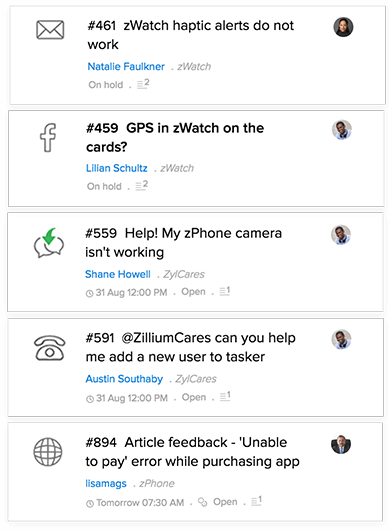 Zia sorts tickets based on customer sentiment, so agents can choose the ones with a negative sentiment and respond to them faster. This prevents issues from escalating and keeps customers happy. Auto-suggest: Customer support agents receive common questions every day. Typing out those answers each time slows your team down. 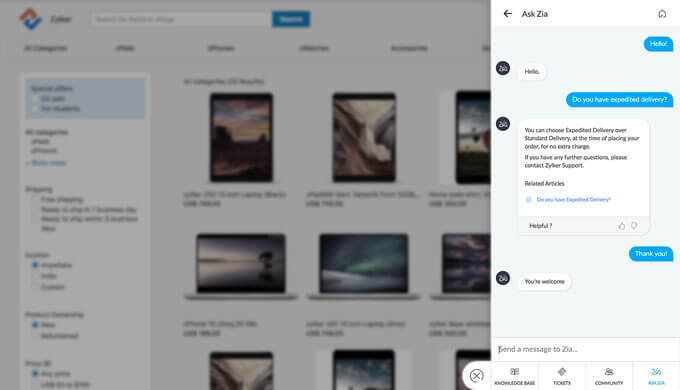 Zia pulls in relevant articles from your KB and has an answer prepared even before your agents read the ticket—all they need to do is hit send. This ensures consistently faster and more accurate responses. Team collaboration: Customers questions are never limited to one department. 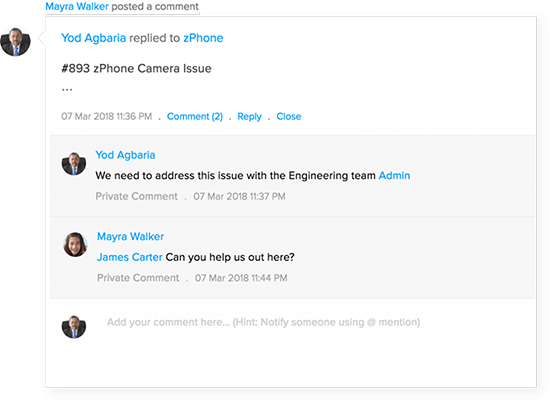 Often, your support team finds itself trying to collaborate with multiple teams to resolve an issue. This creates a risk of miscommunication and avoidable chaos. Zoho Desk keeps things on track by enabling your agents to tag their colleagues and various teams within tickets and leave private comments. This ensures that no context is lost when information is passed on, creating a smoother path to resolution. Auto-tag: Zia processes incoming tickets and assigns them appropriate tags. Tags help your agents identify tickets that match their skill sets, and draw on past tickets for reference. 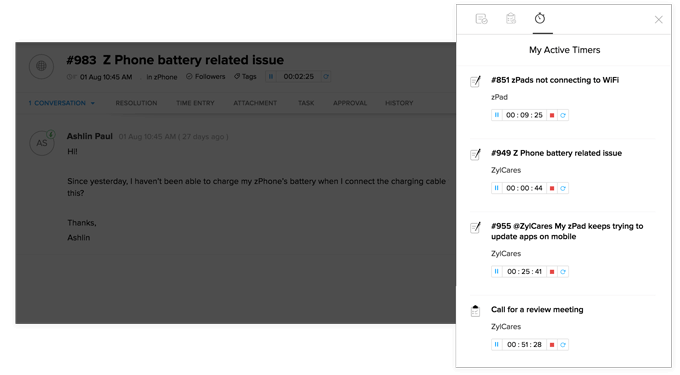 Time tracker: Your agents can monitor the amount of time they spend on each help desk ticket with the time tracking feature. The time added to tickets can be exported to create invoices and bill customers. Customer feedback: No issue is properly resolved without getting the customer's feedback and acting on it. 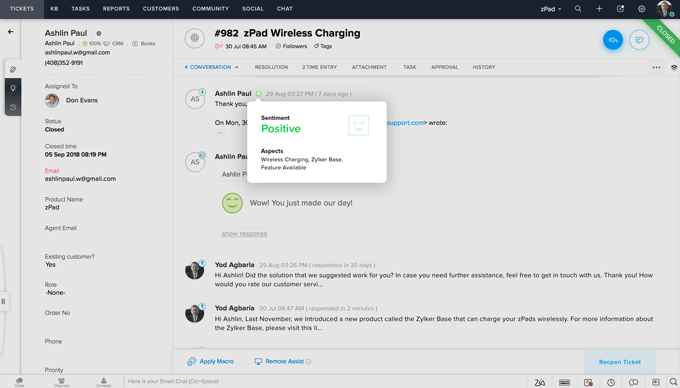 With Zoho Desk, you can request, track, and act on customer feedback end-to-end. Agents can use that feedback improve their support. Supplement your customer service efforts with the best help desk ticketing system. The larger your company gets, the harder it is to implement and stick to your processes. However, Blueprint from Zoho Desk comes with advanced process management tools that help you create and manage your processes on the cloud. Automating your process implementation means more discipline and no need for supervision. 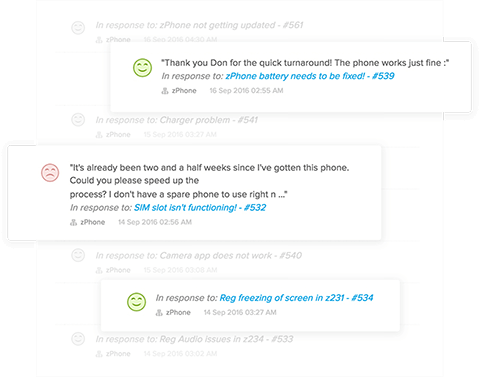 Measure the effectiveness of your customer support with comprehensive reports and dashboards. 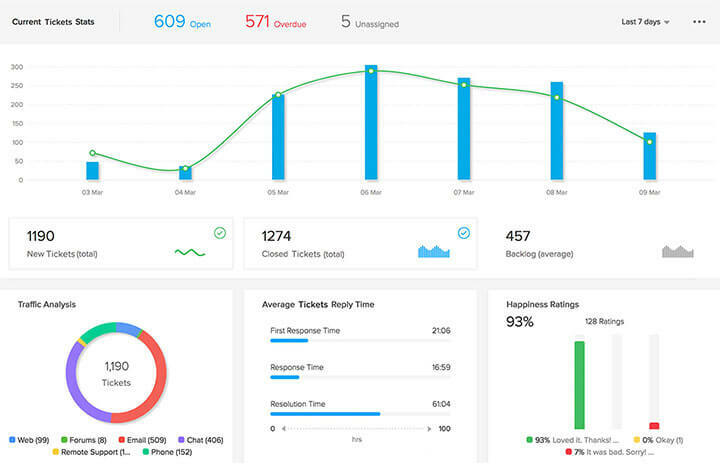 The HQ: This dashboard gives managers a quick overview of all the important metrics like ticket traffic, customer happiness ratings, and the most threaded tickets. This way, managers can step in wherever necessary and resolve issues faster. 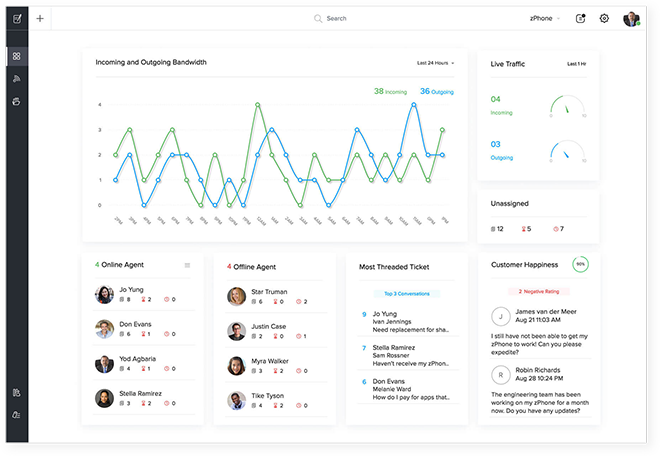 Reports and dashboards: Managers can use detailed reports and dashboards to measure the traffic volume per channel and average customer satisfaction, response, and resolution times for each agent. Managers can also create and schedule custom reports and dashboards for deeper analysis. 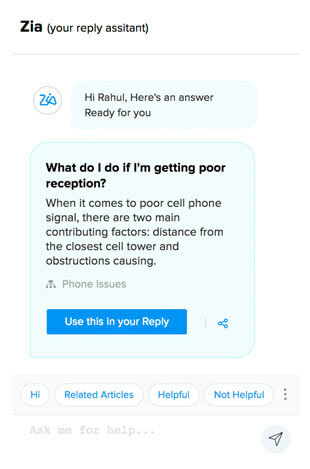 Zia: Your AI assistant analyses and identifies anomalies that could disrupt your processes, and helps you prevent any delays that these anomalies could cause. For example, when there's a sudden surge in incoming tickets, Zia warns you, so you can get more agents online. 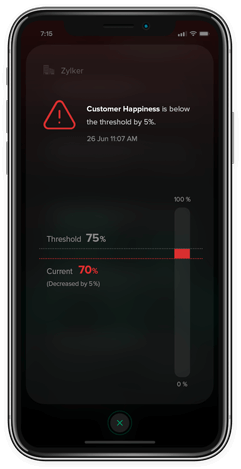 Radar: Radar is a mobile app with simple dashboards that brings exceptions to immediate notice. You can set pre-defined standards to metrics and any deviation from these standards will trigger an alert message to the agent or manager concerned. Integrating your other apps, like project management apps, CRM software, calendar apps, email marketing apps, and others with your ticketing system gives you a unified view of your customer information that would otherwise be scattered. You can use Zoho Desk's powerful SDKs to build custom mobile apps, so you get access to all of Zoho Desk's modules and functionalities while having complete control over the app's UX. With Zoho Desk's APIs, your developers can programmatically integrate with other Zoho apps and third party apps. Our APIs adhere to REST principles so your integrations are simpler. When you want to update data in one of Zoho Desk's modules or would like Zoho Desk to update data in a third party app, you can write simple program scripts in Deluge. You can also create rules to specify when a script has to execute. 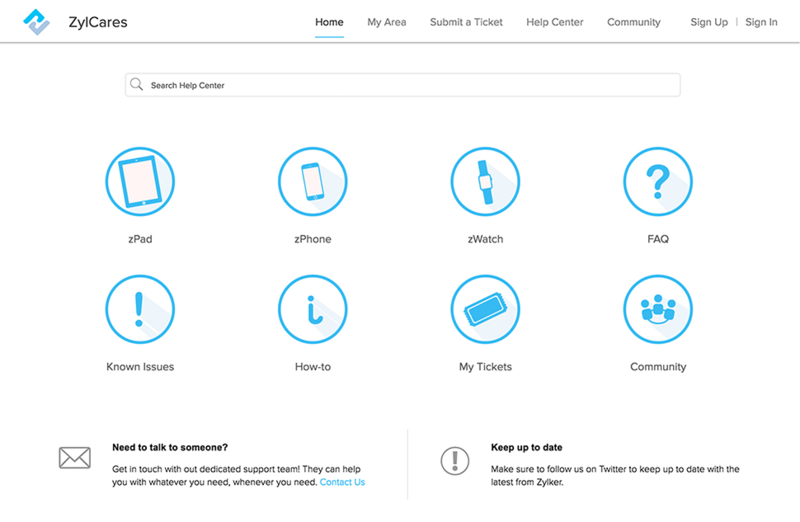 What if you don't like the help desk ticketing system after you buy it? There are a lot of options to choose from when it comes to help desk ticketing systems. If you run a small business, you might find an open source or free help desk ticketing software that might suit your needs, such as Zoho Desk, an industry leader in help desk software. You can evaluate and compare Zoho Desk with its contemporaries, take a look at pricing plans, and arrive at a decision yourself without spending anything. It definitely is worth the effort.